Welcome the starter with a cup of coffee and cool discussion abouth her role and expextations. Log into FoxLink -> select the Employee tab and click "My Payroll/HR" -> the Electronic W2 Consent will be located under the "Taxes" section. Log into FoxLink -> select the Employee tab and click "Administration" -> the Ethnicity Race Survey will be located under the "Ethnicity Race" section. Log into FoxLink -> select the Community tab -> the Rollins Alert System will be located under the "Campus Safety" section. Would you like your R-Card photo to appear in the College's public directory? 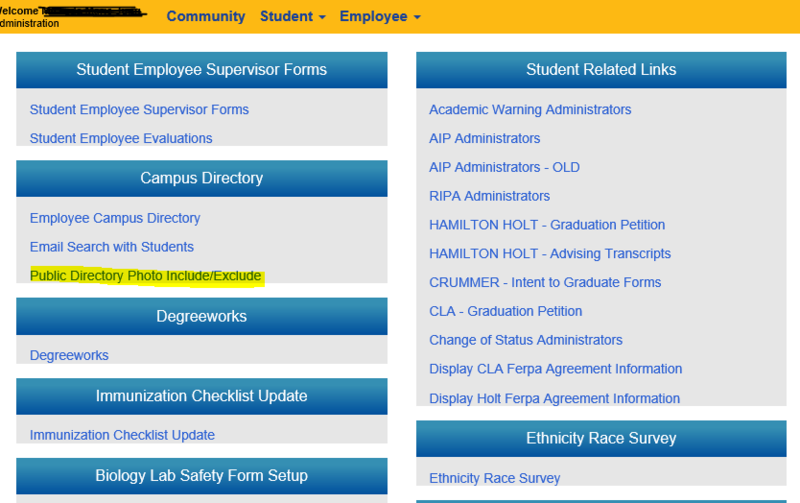 Log into FoxLink -> select the Employee tab and click "Administration" -> the Public Directory Photo option will be located under the "Campus Directory" section. Want to know somebody's birthday? Check out the Birthdays! link. Log into FoxLink -> select the Community tab -> the "Birthdays!" will be located under the "Campus Only Access" section. For more information please visit: https://www.rollins.edu/it/accounts/foxlink. How was your experience in Beta today? Welcome and thanks in advance for taking the time to provide us feedback on your experience. Is there anything that the seems to be 'broken' with the introduction of the new design?